@debbiechan you wanted strong proof about his real account. Him confirming it himself can be a considered a strong proof,unless it is fake news right ? There is no blue badge attached to his account but there can't be stronger proof than him confirming it. Yoo Seung Ho shared why he decided to create a social media account. On the December 10 airing of SBS Power FM's 'Cultwo Show,' Yoo Seung Ho and Jo Bo Ah of the new SBS drama 'My Strange Hero' joined as the guests. 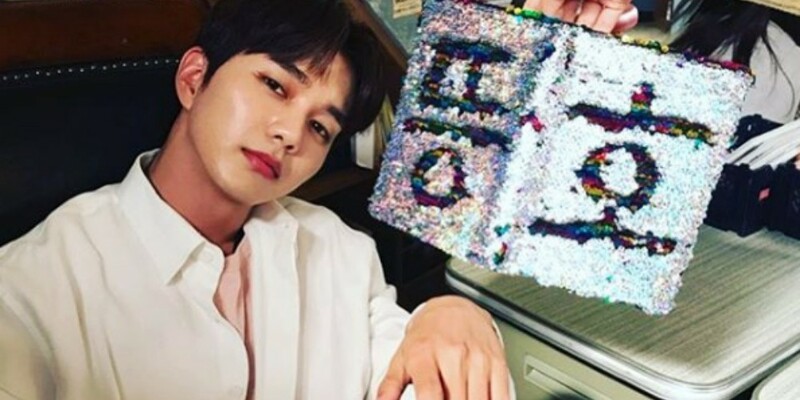 During the radio show, one listener sent in a question for Yoo Seung Ho asking what made him finally create a personal Instagram account. The actor answered, "I had no form of communication with my fans," and said, "To be honest, the thought of going on social media scared me but I started so I could promote my drama, and chat with my fans. I also thought my fans would be curious (about me)." Just recently in November, Yoo Seung Ho created his personal Instagram account. You can check out his feed @dandyoo93. @Berou I am so happy. YSH spoke! I am so happy that he wants to touch base with his fans who respect him and his work and are cheering him on in his career. The first episodes of his new drama have been fun! FIGHTING, SEUNG-HO! @debbiechan what I've been whishing for these past two years happened. I once said here he should open one to promote his projects and communicate with fans without disclosing any details about his private life. I don't know if he read this thread but Im happy it happened. His new drama is better than IANAR that I highly dislike. The first episodes showed its potential and I really hope this time his drama will have good ratings and be appreciated by koreans. During the premiere's night till dawn Bok Soo is back and YSH trended on naver, with the drama taking the no 1 spot. It is effortlessly funny, I cracked up a few times. And at the same time it has a serious /melo undertone. SBS’s “My Strange Hero” has released new stills of Yoo Seung Ho and Kim Dong Young! “My Strange Hero” is about Kang Bok Soo (Yoo Seung Ho), a man who returns to his old high school to enact revenge after he was expelled due to accusations of school violence. In the drama, Kim Dong Young plays Lee Kyung Hyun, Kang Bok Soo’s friend of nine years and CEO of “Your Wish.” The two held a special bond throughout their years at Seol Song High School. In the newly released stills, the two friends put on a live performance. Kang Bok Soo has one hand in his pocket and the other gripping his mic. He gazes down at the audience in one photo, and closes his eyes as he emotionally connects with the music in another. Lee Kyung Hyun also catches the audience’s attention as he focuses on playing his guitar. The two are shrouded in the bright lights of the stage. Yoo Seung Ho and Kim Dong Young’s live performance scene was shot at a cafe in Goyang city. The two actors checked the music and stage lights in order to feel accustomed to the mood of the track. As Yoo Seung Ho discussed how he should move around the stage with the director, Kim Dong Yeon continuously practiced getting used to the track by listening to the musical guide. “My Strange Hero” airs on Mondays and Tuesdays at 10 p.m. KST. SBS’s “My Strange Hero” has unveiled a sneak peek of Yoo Seung Ho’s action-packed fight scene from its upcoming episode! “My Strange Hero” is a new romantic comedy drama that tells the story of Kang Bok Soo (played by Yoo Seung Ho), a boy who is expelled from school after being falsely accused of violence against other students. Years later, Kang Bok Soo returns to the same high school as an adult in order to avenge himself, but his plans go awry when he finds himself swept up in a new series of unexpected incidents instead. Park Ah In plays the role of Yang Min Ji, Kang Bok Soo’s friend and co-worker who is hopelessly in love with him. Despite the fact that Yang Min Ji continually expresses her unrequited feelings for him, Kang Bok Soo is able to keep their friendship going by casually playing off her declarations of love. On December 16, “My Strange Hero” revealed new stills of Kang Bok Soo valiantly coming to Yang Min Ji’s rescue during their high school days. After finding Yan Min Ji in danger and surrounded by bullies, Kang Bok Soo doesn’t hesitate to defend her by jumping—literally—into the fray. In a remarkable display of agility, he rushes to protect the cornered Yang Min Ji by leaping over the bullies and landing in front of her. He then proceeds to take on five bullies at once in a fierce, dramatic fight in the rain that leaves him with a gash on his cheek. The intense action scene was filmed on November 13, on a college campus in Seoul, with a special-effects team brought in to create the semblance of pouring rain. The tiring and physically demanding shoot lasted for over six hours, but Yoo Seung Ho showed no signs of exhaustion as he meticulously monitored his performance until the very end. Yoo Seung Ho also prepared for the scene by working together with a special martial arts team, rehearsing the fight choreography multiple times to ensure that things would go perfectly. In sharp contrast to the sweet, humorous side that he has displayed so far in “My Strange Hero,” the action scene gave him a chance to show off a tougher, manlier charm than one might expect to find in a romantic comedy. To catch Yoo Seung Ho’s thrilling fight scene, tune in to the next episode of “My Strange Hero” on December 17 at 10 p.m. KST. I don't know but YSH's eyes and lips somehow give some signal... He was shy and so cute! Yoo Seung Ho’s elated reaction to So Ji Sub winning at the 2018 MBC Drama Awards has warmed the hearts of many. Yoo Seung Ho was there with Ha Ji Won to announce the winners for the Top Excellence Award in a Wednesday-Thursday Drama. Even before the results were known, Yoo Seung Ho looked excited at the fact that So Ji Sub was one of the nominees and when So Ji Sub was announced the winner, he smiled brightly and enthusiastically clapped along. When So Ji Sub arrived on stage to receive his trophy, cameras caught Yoo Seung Ho jumping into the older actor’s arms as he delivered the prize. Ever since he was a child actor, Yoo Seung Ho has had the nickname “Little So Ji Sub” and knowing this, the older actor has always looked out for him. Despite there being an age difference of 16 years, the two actors have maintained a close friendship of almost 10 years. So Ji Sub once described Yoo Seung Ho as “an angelic friend” during an interview last year and Yoo Seung Ho described him as “He’s always there to take care of me, even when I don’t ask. [Eng at the banner] Today's bokdol class food shuttle is me! Kang Bok Soo. Someone took a selca with him, it looks like the lady works for SBS and is a panelist in a show.